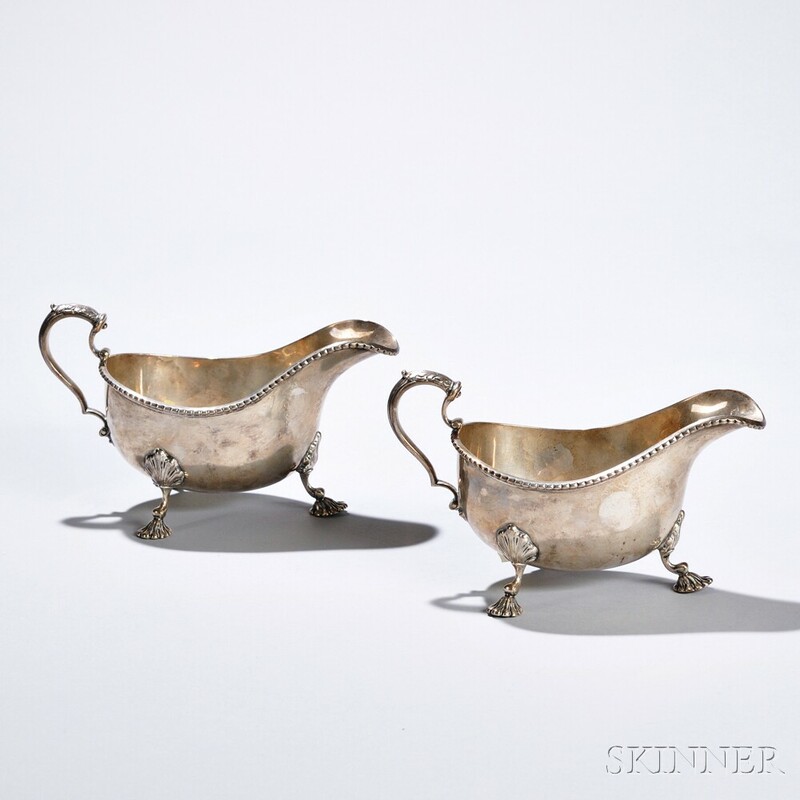 Pair of George V Sterling Silver Sauceboats, London, 1932-33, Adie Bros. Ltd., maker, with gadrooned rim, leaf-topped auricular handle, on three shell feet, with presentation inscription to underside, ht. 4 5/8 in., approx. 21.0 troy oz.